Welcome to our family's 2nd Home! We are not "natives" of Colorado, but got here as soon as we could! Our Condo serves as a nice getaway for the entire family when we have had enough of the city life. When not occupied by our family and friends we like to rent it out on short term basis to keep up with the maintenance costs! This community and location provides year around activity! In the winter you get some of the best skiing conditions and in the summer you can enjoy the joys of the outdoors Colorado has to offer! Simply put, its a home away from home, with all the amenities one could ask for. Its a place to unwind and relax with friends and family! Master Bath is a FULL 5 piece bath! 2 wash sinks, separate hot tub, shower stall and toilet. Guest Bath has a shower and hot tub combo, single wash sink and toilet. The Property is ON the Arrowhead Golf Course. Fresh linen is provided for each new guest. Has a single seater large Couch. And a 3 seater couch that open up to easily sleep an adult or 2 young kids. Center coffee table (please see pic). A fully equipped kitchen which includes a frost-free refrigerator with icemaker, gas stove, oven, microwave, coffee-maker, pots & pans, dishes, silverware, and toaster. With 2 TV's in living and master bedroom. Few assorted DVD's are available for guests to view. Hangout here for some fresh air and mountain views! World famous Beaver Creek ski resort at your doorstep. http://www.countrycluboftherockies.com/ Arrowhead is a golf course Community! Its a Jack Nicklaus Signature design golf course and is consistently ranked in Colorado by Golf Digest. MEMBERS ONLY. Heated Pool for your enjoyment. 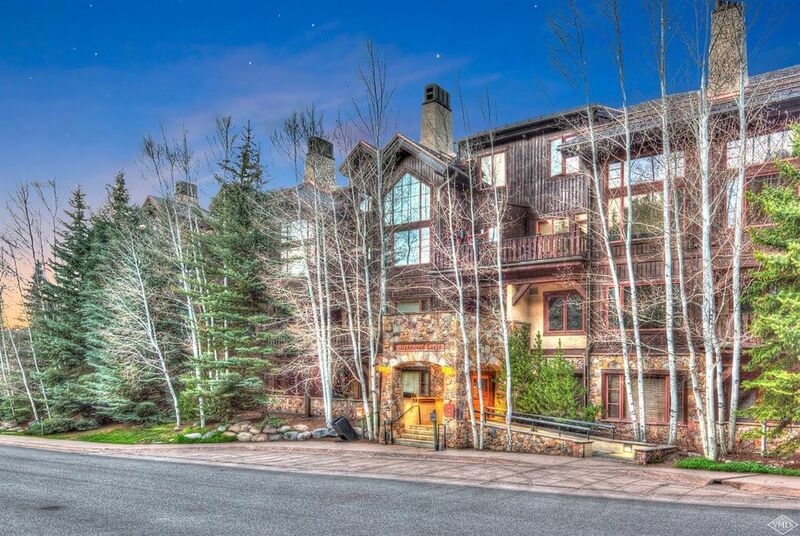 Free Shuttle to Beaver Creek Village (in ski season ONLY), Ski Lockers, Outdoor Hot Tub (shared), Heated Garage. Golf course community. Year round destination for the entire family! Great condo, great location! We will be back. Thank you for your review. I am glad that you had a great stay and will be back! Bhim the property manager was very helpful as well with any questions we had. Thank you for your kind comments. I am glad you had a great stay. We found the Arrowhead area a great little secret and really enjoyed our stay! The ability to be on a lift 60 seconds after leaving the condo is great. We also found the skiing on this side of the mountain much less crowded than going to the BC area...although it’s all connected. New carpet and well appointed kitchen was great and the heated garage was fantastic. You’ll need to rent a car to have the best access to restaraunts in the area. We also enjoyed the heated pool (open year round) and large hot tub. Great location and property!! We are thrilled that you enjoyed your stay. Thank you. It is very well located with excellent access to mountain. 1 minute walk to the lift. Shuttles and "dial a ride" are prompt and easy to get to. The size is just right for a family of 4. Large master bath is very nice. We had a few things that were not working properly and contacted owner. He promptly took care of these issues and left us a nice gift. We would certainly stay there again. The only negative is parking is very tight. There are enough slots, but some are smaller than others. I would recommend renting a small car. Bhim - thanks for everything. We had a great time and thanks for personally stopping by and checking on us. I am so glad that your family had a good time at our Condo. Thank you for your patience when I came down to install the new TV's etc. Great condo, great location with short walk to Arrow Bahn lift. Well-equipped kitchen. Lots of towels, TP, soap, shampoo etc. Dish soap, laundry soap, etc. were provided, which made the stay very easy. Even a vaporizer in each bedroom, which we greatly appreciated! Everything was spotlessly clean. Could benefit from 2 folding chairs in closet. With mattresses on the floor, condo sleeps 6, yet only seats 4 at dining table. It's about time for the sofa cushions to be re-stuffed. The beds are very comfy! We always take our shoes off before walking on the carpet, but it looks like others haven't been doing so, and the carpet needs cleaning. Maybe a sign reminding people to take their shoes off would help. A bigger-screen TV would modernize the place. We offer the above suggestions only to make a wonderful condo even better! Thank you so much for your constructive comments. They are well taken and I plan to implement your suggestions. Agree with your shoes off comment! Thank you again for your business, all the best! Please email for attractive monthly or long term rates.